We want our customer's to know that we take pride in performing quality painting and refinishing work. This is why we feel it is necessary to provide warranties following the completion of every project. 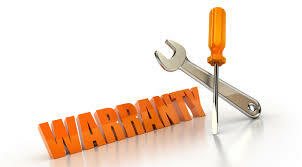 We provide a written 2 year labor / workmanship warranty for all surfaces which we performed work on. This warranty supplements the material warranty which is provided by the paint manufacturer. With these two warranties in-hand, customer's can rest easily knowing that if any problem does arrise, Fresh Coat will correct it immediately and without hesitation.